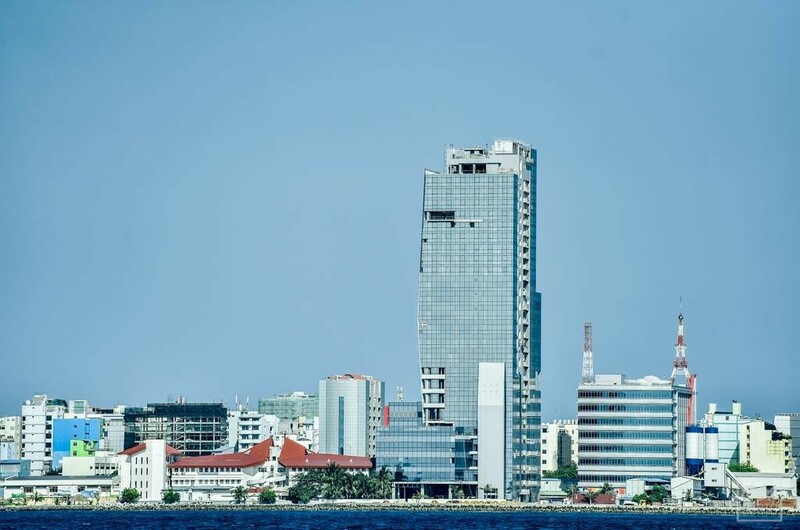 The promising medical institute, the first ever 25-storey building constructed in Maldives is drawing closer to completion with most of its mainframe work already concluded. 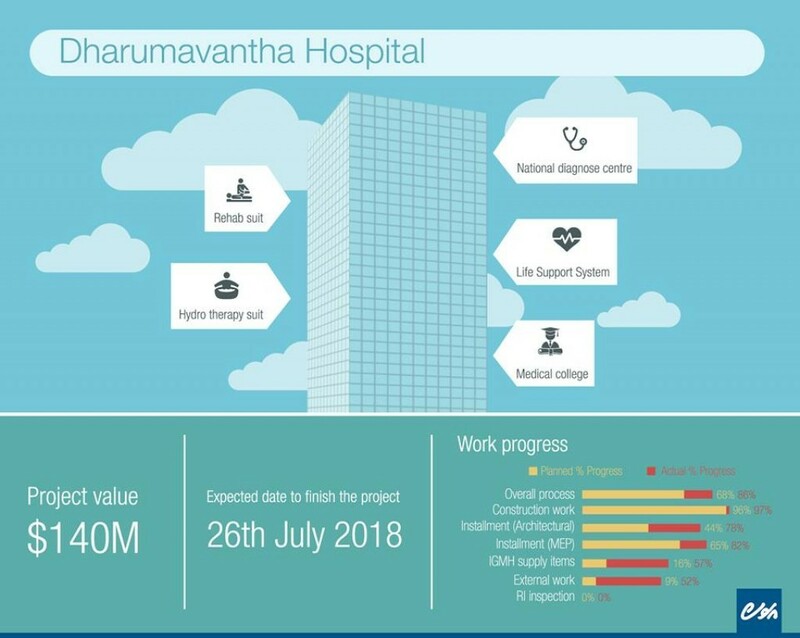 Constructed at the south-west end of the capital Male', Dharumavantha Hospital (DH) stands next to government owned Indira Gandhi Memorial Hospital (IGMH). Considered as the biggest investment under president Abdulla Yameen's administration, the 25-storey high-rise hospital will be a technologically innovative inclusion to the Maldives health sector and promises to deliver enhanced services and would utilize new and improved state-of-the-art equipment. The USD 140 million project was assigned to a Singaporean construction corporation. Director of Public Relations and Media Unit of IGMH, Ahmed Mausoom on Monday confirmed that approximately 96% of the building's construction works have been completed, assuring the entire project will be concluded on projected time. The hospital premises also includes floors dedicated for a medical college while several other new facilities will be included in the building. Though several works of the building has been concluded with a few final tweaking and finishing work remaining, its 'parent' institute IGMH confirms the progress was slightly behind planned schedule. Wire-works for installing the electricity network and software installation for the building management has been completed 65% while the procurement of furniture and equipment are underway. The building is designed to 'shield' radiation while a life support system will be installed to the premises. Furthermore, six floors of the building is designated to national diagnostic center. The building will also have a fully-equipped and enclosed section to store volatile chemicals. Other facilities planned to be included in the building include a gym, hydro-therapy center, rehabilitation suite along with a child care center and a swimming pool.